Decoy Dockside Dining, the new waterfront restaurant at the Lakehouse Hotel & Resort in San Marcos, is set to open on August 29. From the innovators at Eat.Drink.Sleep. - who own and manage other notable hotel, restaurant and entertainment properties including Tower23 Hotel and JRDN restaurant, Draft, Cannonball and Belmont Park - have been working on a multi-million dollar phased redevelopment of the Lakehouse Hotel & Resort, a unique destination tucked away in on the shores of Lake San Marcos in San Diego’s North County. 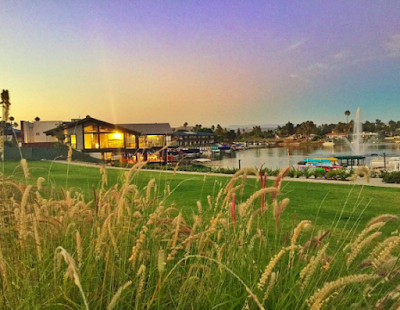 The development features a waterfront hotel, renowned St. Mark Golf Club with an 18-hole and an executive golf course, and an array of outdoor activities and amenities. The latest addition to the evolving Lakehouse Hotel & Resort is Decoy, a luxe lodge inspired restaurant designed to maximize views of Lake San Marcos. 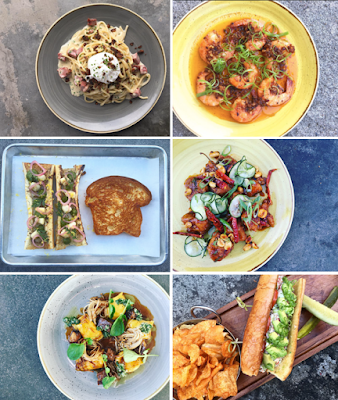 The expansive restaurant’s dining concept is centered on New American cuisine inspired by the great outdoors. Chef Danilo “DJ” Tangalin, a rising star in San Diego’s culinary scene who spent two years at Eat.Drink.Sleep.’s JRDN restaurant, has been tapped as Executive Chef of Decoy. 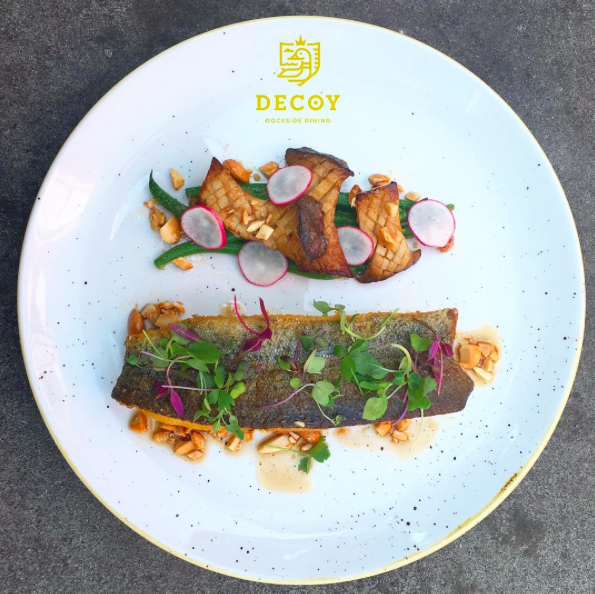 Decoy’s main dining room on the second level will serve dinner daily and weekend brunch. 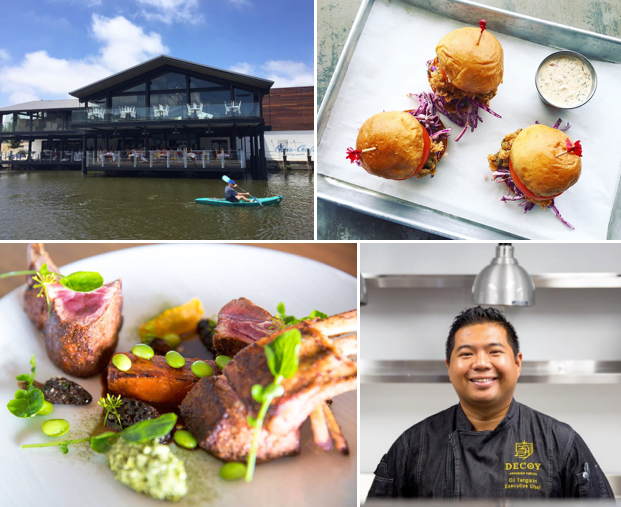 The menu is built around the restaurant's wood burning oven and will highlight wild game and fresh water seafood. Guests can enjoy mouth-watering meals such as Lobster Pot Pie made with whole Maine lobster, pickled potatoes, baby carrots and shellfish bisque; the Elk Osso Bucco served with risotto and topped with mint salsa verde; and share-worthy plates such as the Whole Roasted Lavender Duck. Downstairs guests can enjoy the Dock Bar, which sits water level with lounge style seating, a pizza oven, and open air access to the lakefront. Diners will enjoy an all-day menu with appetizers for sharing, pizzas and light entrees such as the Dockside Bar Messy Burger with a bison patty, boar bacon jam, asiago cheese, farm egg, caramelized onions, butter lettuce and sun dried tomato aioli; Ostrich Empanada seasoned perfectly with jerk spices and served with grilled pineapple relish; and Duck Meat Ball Banh Mi with sweet and sour gastrique, cucumber sunomono, carrots, daikon, and roasted serrano aioli. Decoy’s bar menu will consist of classic cocktails with refreshing twists such as the Smokey Mango-Rita, a mixture of Cazadores Tequila Blanco, Cointreau, lime & lemon juice, simple syrup, fresh jalapenos and mango puree. The bar will also serve an extensive list of wines, as well as craft beers including many from San Diego County such as Modern Times Fortunate Islands, Ballast Point Watermelon Dorado and Stone Cali-Belgique IPA. 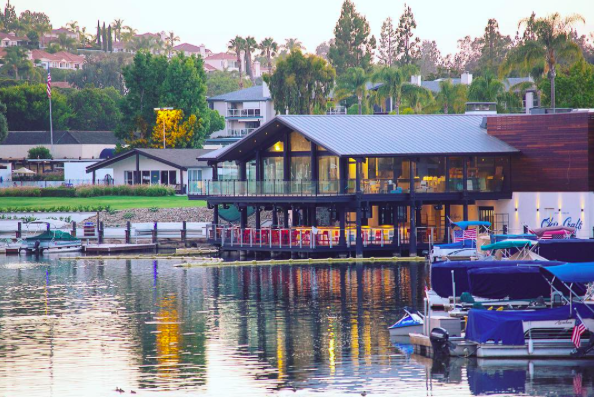 Diners can drink in the tranquil views of Lake San Marcos from two levels, each offering a unique atmosphere. The 8,000 square foot upstairs dining room features natural textures, cozy fireplaces, and rich textile tones with steel and bronze accents. The 1,000 square foot deck provides a perfect lakeside view for any meal. Dock Bar, on the downstairs level, takes a more casual approach with its water-level lounge with a pizza oven and open deck to the lakefront. Decoy Dockside Dining will serve breakfast Monday-Saturday, dinner daily, and a Sunday brunch buffet in the upstairs dining room. The Dockside Bar downstairs will be open 7 days a week serving appetizers, sandwiches and pizzas. 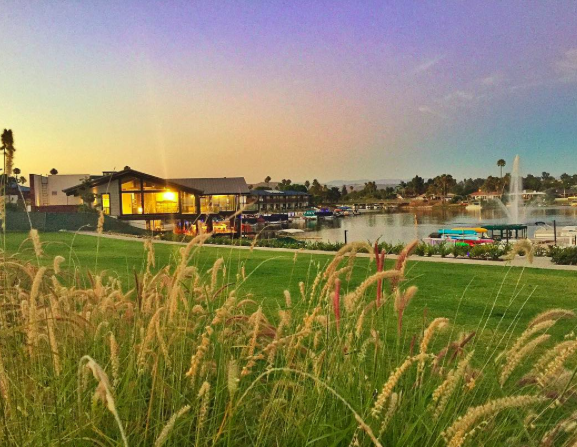 The Dockside Bar will also have happy hour daily from 2-6 p.m.
For more information on Decoy, call 760.744-0120 or visit decoydockside.com.